Confessions of a Ribbon Addict: You Make Me... Smile! 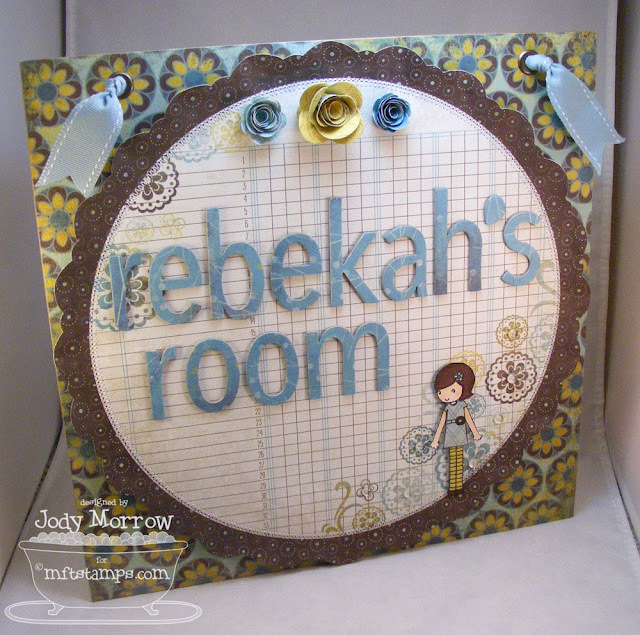 Today, I am sharing a gift I made for my friend, Mary's, daughter, Rebekah. Her birthday was only almost 2 months ago. Better late than never? 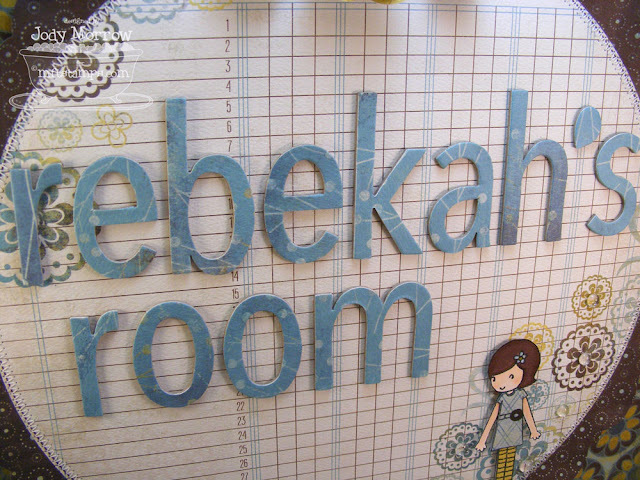 I started out with a 12 X 12 hanging door sign. What little girl doesn't like their name plastered on everything? The base is a piece of heavyweight chipboard and covered it with patterned paper using red line tape. I used a die-cut piece of patterned paper from MME and stitched around the perimeter. 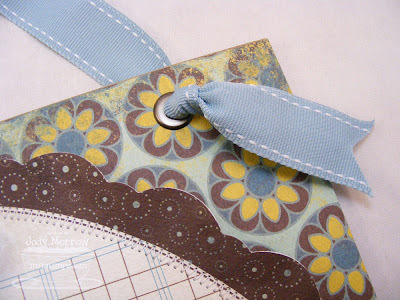 The "Emma" from Meet Emma & Wyatt, was stamped, colored and cut out. 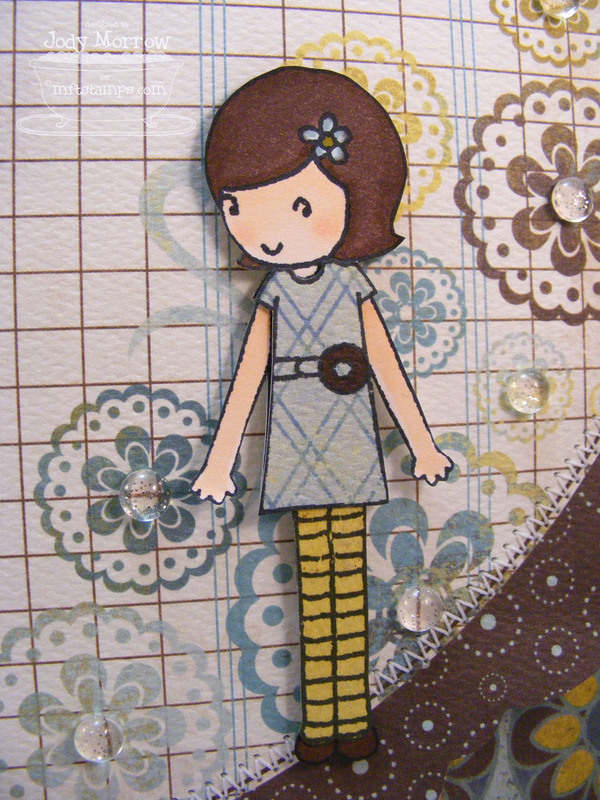 I pieced on her clothes (and thought of paper dolls as I was doing it). 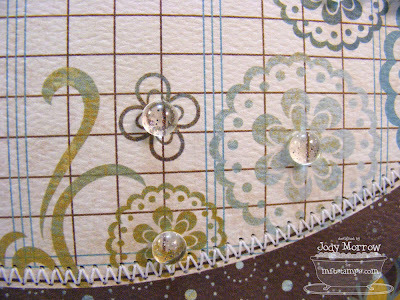 The patterned paper already had gorgeous flowers on it, so I left well enough alone and added some glittered garnishes to the centers. 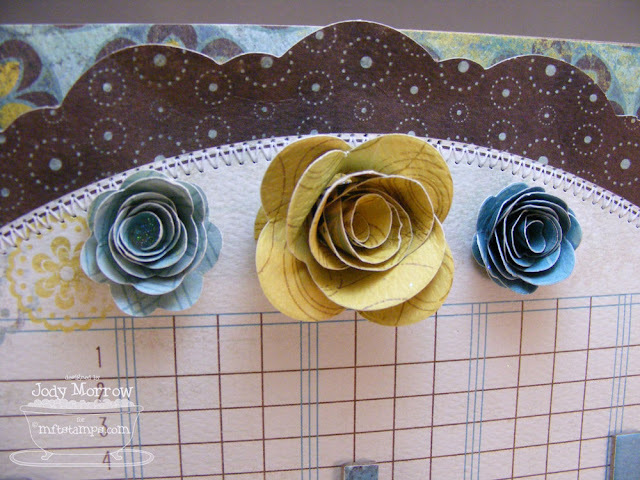 I made the rolled flowers using my Sizzix die (LOVE it). I strung some ribbon through jumbo pewter eyelets and decoratively cut the ends of the ribbon. I made a card that coordinates with it as well. 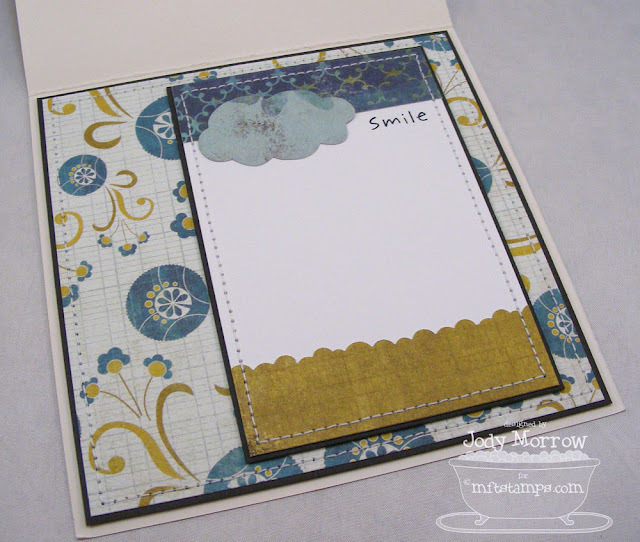 I used the same stamp set and the new Cloud Trio Die-namics. LOVE that die. :) I added a tiny Prima to her hair over the flower image. The clouds are mounted on red line dimensionals. Your gift is so beautiful! 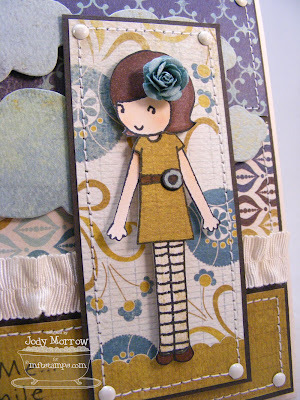 Love the colors, design, sewing & rolled flowers! She will be so happy! Fabulous!! I love this and I love that Emma doesn't get lost at all on such a big canvas. Jody, this is fabulous! 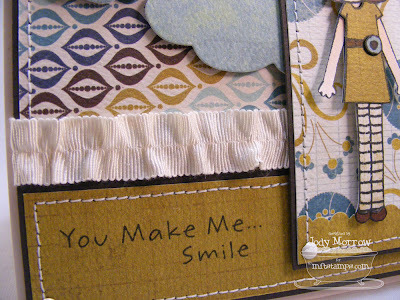 You always add the perfect details! Love those flowers you created. Now I NEED to get that die! ha! You are such an enabler!!! AND and inspiration to me ALWAYS! that is so cute, she's gonna love it. this is just sooo super cute, I can't stand it! love the extra details you added and those flowers are beautiful! just gorgeous! 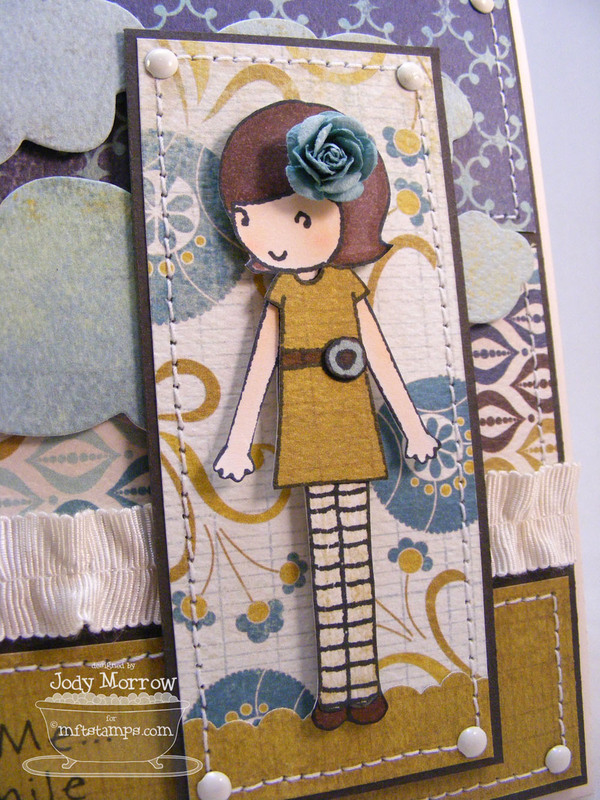 love the card inside & out- the flower in her hair is too cute! amazing wall hanging too- i'm sure she's going to love it!! FAB-U-LOUS!!!! I can hear her squealing from here, even if she hasn't gotten it yet!!! :) Most excellent!! OMGosh, AWESOME!!! You are like, the coolest Mom, EVER! !